The sessions for Divide saw singer-songwriter Ed Sheeran exploring the possibilities of home recording for the first time, courtesy of engineer Joe Rubel. 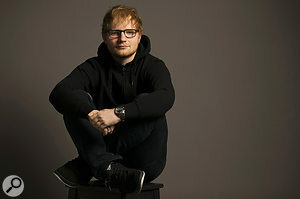 Ed Sheeran has negotiated overnight success, difficult second albums, tabloid attention and burn-out to reach an unprecedented level of chart dominance. 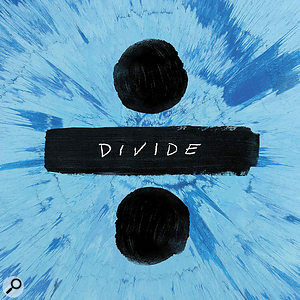 At the time of writing, all 16 tracks from his third album Divide are in the UK Top 20, occupying not only the entire Top Five but 14 out of the top 15 places. Yet, says the engineer who was at Sheeran’s side throughout the tracking of Divide, “I think he’s just getting started.” And given that Sheeran was already a global superstar when recording began, it’s surprising to learn that he’s still discovering his voice in the studio. In fact, prior to the start of work on Divide, Ed Sheeran had never had any sort of recording setup at home. “He’d never had a pair of monitor speakers or anything. He was touring non-stop for five years, since before the first record — and then he took his year off, so he’d never had a studio before.” At the same time, Sheeran’s previous recording experiences had left him with a distaste for traditional studios; he memorably described one hallowed London space as being “like an old bingo hall”, and prefers more ‘boutique’ rural venues such as Cenzo Townshend’s Decoy Studios. If there’s one theme to which Joe Rubel consistently returns, it’s that the role of the engineer is to be an enabler. Rather than getting hung up on technical perfection, his focus throughout the recording of Divide was always on making sure that Sheeran’s creativity could have free rein. “You’ve got to be ready to record, and not get in the way of what he’s trying to do. As every engineer knows when they’re recording anyone, you don’t want to get in the way of them being their most creative. If the artist wants to get up and start singing, they should be able to do that. You can’t say ‘Give me a second, I want to try a different compressor.’ No-one cares about that. So if we’re doing a session where we’re putting down a song, then we’ll use the same mic for his vocal and guitar, it’ll just be moved around. 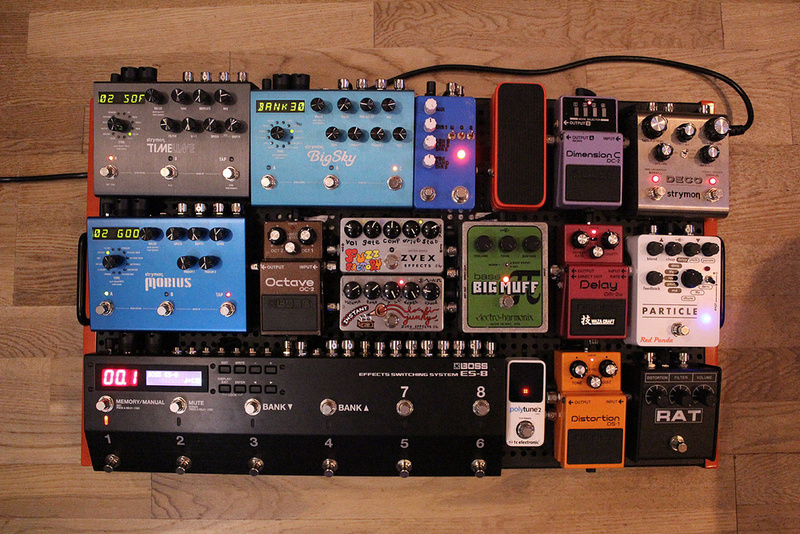 I’ll have a bass plugged up, tuned up and ready, and the same with an electric guitar as well. Sometimes, I’ll pull some drum samples into the session as well. “Ed isn’t really bothered about mics, which is good, because it means that I have room to care about that side. He knows I care about making it sound great, so he’ll let me deal with that, and he likes what comes out of the other end and knows not to worry about it. He’s very impulsive and wants to work quickly; I always need a day or two afterwards to make sure everything’s OK. Stuff goes down so fast that sometimes you can’t see the wood for the trees. “A lot of the time, I’d be working on a song with him, and I really don’t know where it’s going because he’ll already have it fully formed in his head. We’ll start a song and he’ll say ‘Give me a click’, and he’ll put down a few things over a minute or two, then I’ll pick through everything and tighten it up; we’ll build the song from there. We’ll start building it up to the point where we have loopable sections of songs. He’ll play stuff, and say ‘OK, we can loop that, we can paste it over here,’ and I’ll just have to figure out the details later, because we’d be going that quickly. But sometimes, I’m thinking ‘I don’t really know where this is going’ — and then he’ll sing it, and you’re like ‘That’s a song! It’s done.’ He’s a fantastic vocalist. Usually he’s got it all in his head already. Perhaps uniquely for an artist of his stature, Ed Sheeran has never toured with a backing band — even his three sell-out Wembley Stadium gigs in 2015 were completely solo affairs. On stage, Sheeran relies on a custom-built, foot-controlled live looping system, and although he didn’t use this in the recording sessions for Divide, his approach to recording has always drawn on the same cut-and-paste aesthetic. One of Joe Rubel’s aims during the making of the album was to convince Sheeran of the benefits of working with live musicians. 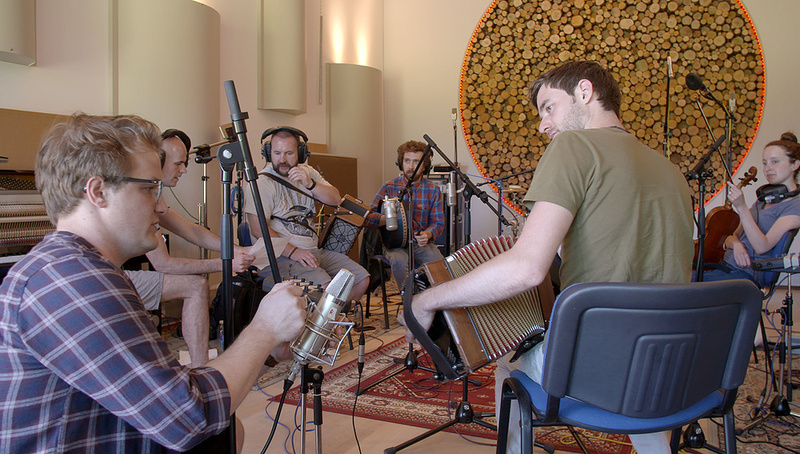 “There’s a couple of songs on the record that have got an Irish band called Beoga on there,” explains Rubel. “We recorded them at Decoy, and it was the best day. Beoga are the nicest people, and fantastic musicians. Decoy looks out over a lake; the live room and all the control rooms all have glass in front of them, so the sun’s coming into this beautiful building and you’re surrounded by amazing people. “We had a couple of Ed’s co-writers there, Johnny McDaid, Foy Vance and Amy Wadge, and I felt that if anyone wanted to pick something up and play with those guys, they should be able to, so I set up a couple of mics just in case. We had two days booked, and we got their parts done in a couple of hours, because they were well rehearsed and it was overdubs on pre-existing songs. So after that, they ended up sitting in the shade of a tree by the lake, and they wrote another song, which became ‘Galway Girl’, which has been the breakthrough hit of the album since its release. Ed and Johnny cut it live on the floor with them. We did end up replacing the vocal, but it was so good! They’d finish a run-through and Ed would start producing it and arranging it, saying ‘OK, stop, do a new chord in this part, make the piano go up here,’ and so on, and I think he really enjoyed that. Now that there is nothing to hold him back, who knows what Ed Sheeran might achieve with his fourth album? Joe Rubel’s path into engineering and production was part traditional, part modern. 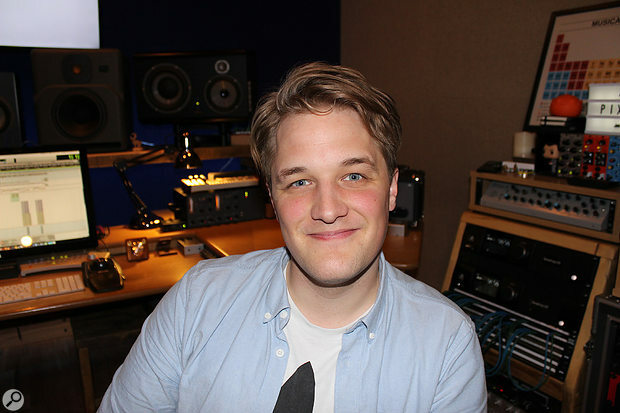 “I studied on the Tonmeister course at Surrey University. I’m not particularly academic, and it’s a very academic course, but my main reason for going there was because they do a placement year. There are a lot fewer studios now than there were 10 years ago, but at the time, you could pretty much guarantee that you could go and work in a studio on your placement year. That was ideal for me. 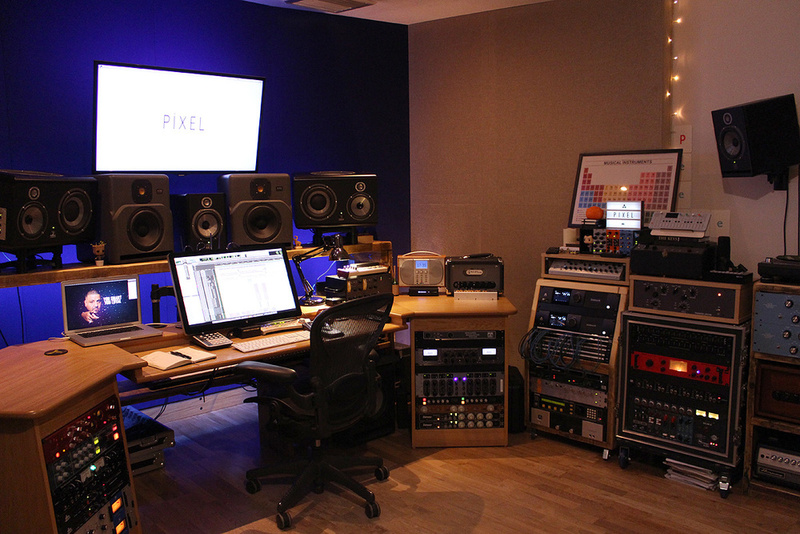 “I worked at a studio called Phoenix Sound, which was at Pinewood Studios. It had been there for three years before I got there, and lasted another three after I left. 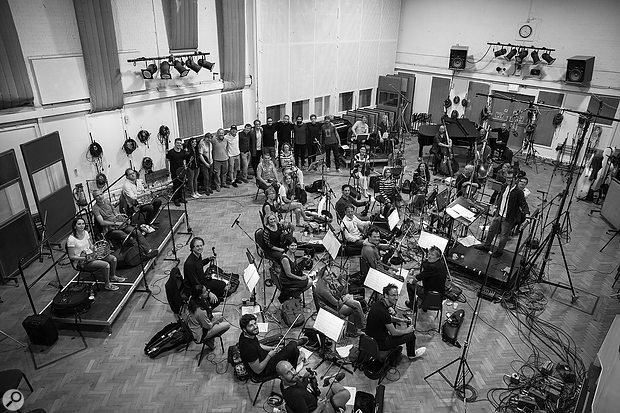 It was large enough that you could record a big band in there, or a small string ensemble; you could get 30 or 40 players in there. But then we would get everything down from that as well, including lots of pop and jazz stuff. I used to do so many bands in downtime. I totally threw myself into it, and started engineering quickly, because it was a one-room facility, and also because it was out in Pinewood. If we got a last-minute session it was like ‘Of course, I’ll engineer it.’ I owe a lot to Pete Fielder, who owned and ran Phoenix and put a lot of faith in me.